I was born in Portland, OR and moved early in life to Carlsbad, CA. In 1989; longing for seasons and affordable property, I moved to the Sierra Foothills. My husband and I are currently finishing up renovating a wonderful artist studio that overlooks our private pond in Grass Valley. 2019 is starting off with beauty and grand inspiration! 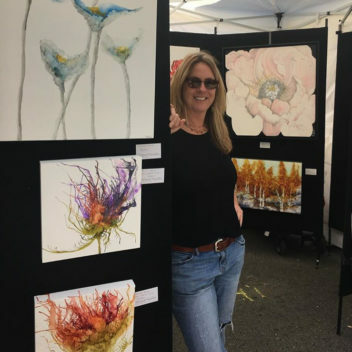 After many experiences with college, travel and business ownership I had my two children and few years later began embarking on creating a career as an artist. 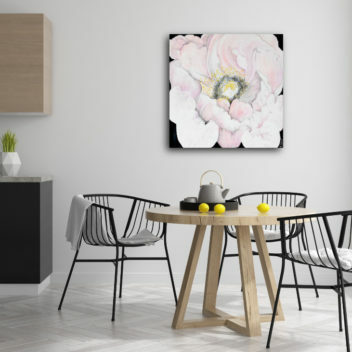 Feeling somewhat confident with my work; in 2012 I started selling my paintings via open studios, galleries, art festivals and connections with interior design firms. I am primarily a self-taught artist. I have been lucky to meet a few wonderful mentors along my art journey and look forward to learning from many more. My preferred mediums are encaustic, mixed media, oil and colored pencil. I frequently grow bored- thus enjoy switching up my techniques between an organic flow and detailed pencil work. While working loose; I manipulate fluid medium via a compressor or simply tilt and "pool" until I achieve desired results. 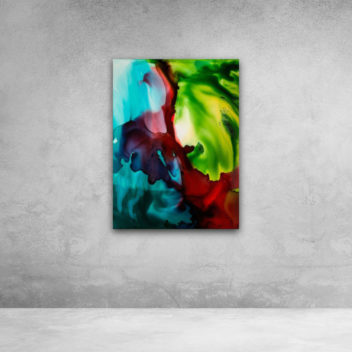 I strive to create a sense of intrigue with shapes, depth, color and light. The goal is to challenge myself to find, and hopefully impart, the extra-ordinary in what may be deemed the ordinary. All my work is carefully sealed with several light layers of U-V varnish, or occasionally, resin to ensure generations of enjoyment if kept out of direct sunlight. My work can be found in many private collections, corporations, hotels, galleries, Crate and Barrel and art shows/festivals nationwide. If you would like to have a special painting done, I do commission work; simply send me an email and we will start discussing. If you'd like to purchase any originals or prints please send me an inquiry for pricing and availability. Thanks!